Professional artist requires the help of a talented and friendly developer to build a dress up game. We're looking to have a dress up game made with the intended audience being parents of young children and toddlers. The art assets are currently at about 50% completion and the artist has previous experience on multiple dress up style games. The artist must be able to update on their own with a new sprite sheet or folders where they can upload new assets(i.e. new eye assets). The game must create a png at the end, and must also create a file or some method of finding what assets were chosen by the player after the fact(i.e a text doc that lists assets chosen). We have a couple rough ideas of how to handle this but we're looking for a developer who would really knows how to do what we need. Players will choose what part of the body to customize then choose from a grid of assets. There won't be any drag and drop, just click which assets you prefer. and a wardrobe button(only 3 choices here). Please reply here or email Cynthia at for more information on this project. Please pitch your budget and estimated amount of time to complete. Hey I could do some work for you. This seems like a nice little project, and I've had a good amount of experience in Construct 2, if I haven't released any finished projects yet. How about I get started on it right away, do a little bit, and if you like how it's going, we can decide payment then? I am free to have a conversation with you by email about your Development requirements. 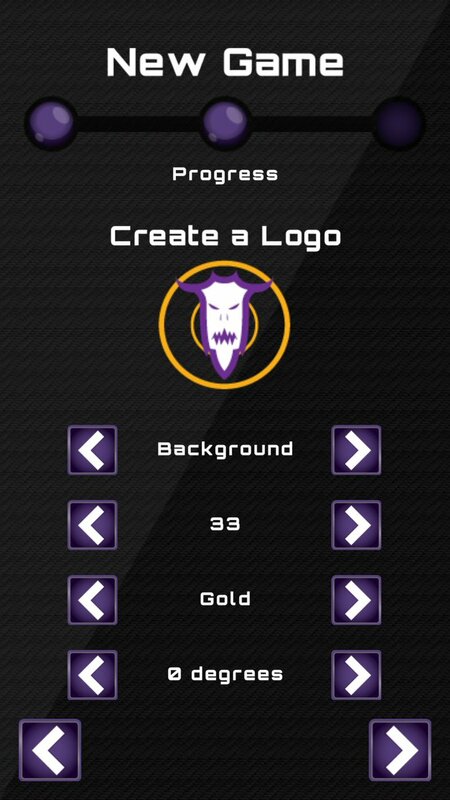 I have most recently been working on 'eSports Manager' which has included a system for building your own Team Logo using layers -- it looks similar to what you might need here. Please PM me on here for more information. Thanks for the replies! I was just in touch with Cynthia and she has found someone to work with.